BETHLEHEM — While the deteriorating shipwreck of the RMS Titanic remains silent on the North Atlantic Ocean’s bed, its legacy and stories continue to live on in modern popular culture, this time being reimagined by the Bethlehem Central High School’s Stage 700 theatre club. 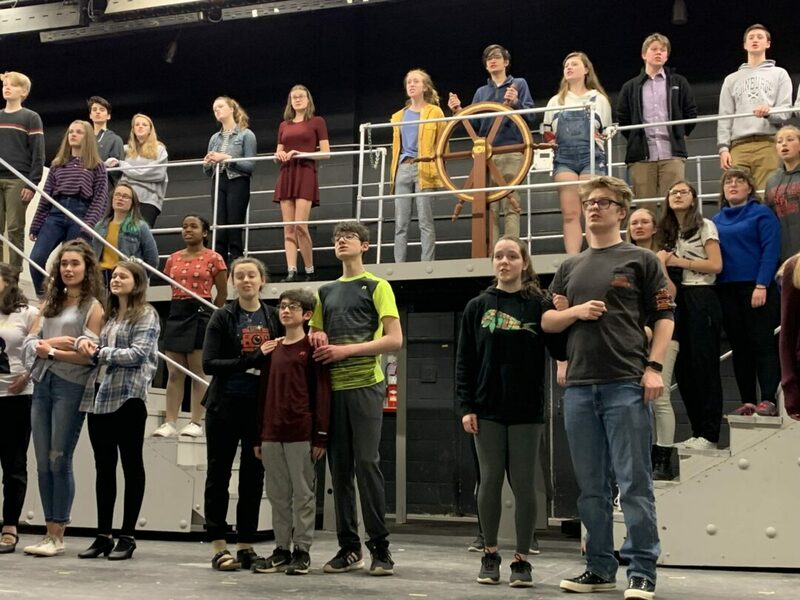 “Titanic: The Musical” will set sail with four performances at the school’s auditorium: from Thursday to Saturday, April 4 to 6 at 7 p.m. each, and on Sunday, April 7 at 2 p.m. These dates fall just around one week before the ocean liner’s 107th sinking anniversary on April 15, 1912. Tickets are $12, and $6 for students, seniors and military personnel. They are available for purchase on Saturday, March 30 from 11 a.m. to 2 p.m. at the BCHS auditorium lobby as well as at the door one hour before each show begins. This is also the final theater production in the high school’s auditorium before it closes its curtains for a year to be renovated in relation to the BCSD’s 2016 Facilities Improvement Project. Amy Roos, the musical’s director, said that it would focus more on the accident’s true events and affected real-life people. It is not related to the James Cameron-helmed 1997 namesake film at all, which starred Leonardo DiCaprio and Kate Winslet. The central theme would be tragedy, she added. “Titanic” had been decided to be produced last summer because of its challenging Tony Award-winning music score which the cast and orchestra felt willing to tackle, and it had almost 40 speaking roles in addition to the ensemble — this provided more opportunities for students to participate. The result is planned to be ambitious, with large-scale onstage props and moving staircases sets to emulate the Edwardian era-styled ship. Roos said that around 35 parents have volunteered to help out with the production and provide more props, costumes and publicity. Meanwhile, costume Andrea Adamczyk and her crew have helped incorporate their research of the Edwardian era into their costume creations. While attending a rehearsal on Wednesday, March 20, such costumes were not worn by the students yet and the stage sets and props were still being finalized. Nevertheless, students took the subject matter seriously as they began portraying real-life individuals and couples who became torn apart by the classist treatment of passengers as well as the rule that women and children only should begin boarding the emergency lifeboats. The overall cast, who first auditioned for roles back in January, appeared ready to depict the frenzied mass of doomed passengers as many students littered the stage, as if showing how large the stakes are. Sophomore Brayden Karn, who plays naval architect Thomas Andrews, similarly said he just wanted to be a part of this production, regardless of what role he got. Adding that he personally enjoys singing and musical theater, he said he has enjoyed Roos’ direction thus far and he appreciated the theater club’s overall positive environment. “We have great fellow actors here and we all really enjoy being here,” he said. Sarah Marshall, a senior who plays Quartermaster Hitchens, said that while many of her fellow costars are passionate about musical theater, “Titanic: The Musical” is a show that most are not familiar with. Liking how this production offers many speaking roles as opposed to other musicals that only have a few starring roles, she said that she at least wanted a character with a name since she’d always been in the ensemble in past musical productions. “So, when I saw the cast list come out and that I have a name, that’s good enough for me and I was just happy about that,” she laughed, adding that she does plan to continue pursuing theater seriously beyond high school. 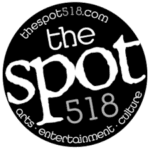 When asked if she had any advice for such students who want to continue doing theater after graduation, Roos said it’s best “to find your niche. Find the thing that makes you stand out above the pack. It doesn’t have to be strictly talent. It can be your reliability, your ability to memorize lines quickly, your physical comedy, speaking another language. Find the thing that gives you an edge.” In the meantime, she said that she has enjoyed working with her students, regardless of if they are graduating this year or not. “They are an incredibly talented group and I will be very proud when the curtain goes up on opening night,” she concluded. For more information, visit www.bcstage700.org or www.bethlehemschools.org/titanic-musical-sets-sail-april-4-7-bchs.